Cellular Risks - Antenna Management Corp.
Property owners need to make sure they are protected if things go wrong. Insurance plays a prime role in providing such protection – both for the property owner and members of the public who could be harmed. With cellular antenna contracts often lasting 20-30 years, insurance provisions have to be drafted with multiple decades in mind. 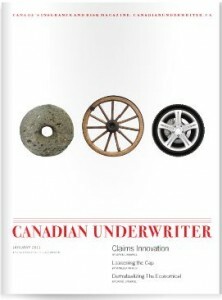 The below article is from Canadian Underwriter magazine. To view the original article source, click here. The inconclusive science around a link between regular cell phone use and brain cancer has left insurers cautious, but not panicked. Should insurers be concerned about a potential wave of claims? Scientific studies into whether cell phone use increases the risk of brain cancer and other illnesses have produced uncertain and at times contradictory findings, often yielding far more questions than answers for insurance companies. Is this an emerging risk insurers should carefully monitor or an overblown public health scare? Are cell phone-related tumours the next surge of unexpected claims (like asbestos), or is the technology perfectly safe and properly regulated? Given that there are more than 4.3 billion cell phone users worldwide, and more than 21 million in Canada alone, these questions bear a significant weight for the country’s property and casualty insurance industry. These assertions do not appear to be supported by any public statements issued by insurance companies, brokers or reinsurers. The only official announcement of an underwriter refusing to insure cell phone manufacturers against the risk of damage to users’ health was that of Lloyd’s of London underwriting syndicate Stirling — in 1999. In November 2010, Lloyd’s released a report on the issue, Electro-Magnetic Fields from Mobile Phones: Recent Developments. It concluded caution is needed, but not alarm. “With regards to the implication to insurance, as the current scientific evidence stands, it is unlikely that insurers will be liable for compensation for bodily injury on product liability policies,” the report notes. Will Eustace, senior vice president of Marsh’s U.S. casualty practice, notes insurance companies can potentially restrict coverage in other ways. For example, they can make policy forms available on a claims-made basis only or they might add “anti-stacking” endorsements, intended to avoid the application of multiple sets of deductibles or multiple sets of limits to a single loss event. There is little evidence of a pervasive use of these tools by underwriters for cell phone and telecommunication companies, he adds. 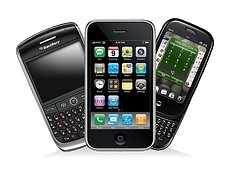 Cell phones operate on microwaves, sent and received by antennas on the back of the devices. As such, they emit radiofrequency (RF) electromagnetic energy. Some of the RF energy emitted by cell phones is absorbed into the body, specifically in the small area of the skull near the handset. That is why most research into cell phones and brain cancer focuses on intracranial tumours such as glioma, meningioma and acoustic neuroma. As Lloyd’s EMF report notes, the science investigating any link between cell phones and brain cancer is mainly divided into three areas: epidemiological (population-based), in vivo experiments (on lab animals) and in vitro experiments (on cell cultures). In Canada, Health Canada develops guidelines for safe exposure to RF energy. These guidelines, commonly known as Safety Code 6, set out safety requirements for the use of RF devices operating in the frequency range from 3KHz to 300 GHz. For example, it is known the body will absorb some of the RF emitted by a cell phone, known as the Specific Absorption Rate (SAR). In Canada, the maximum SAR allowed for cell phones and portable devices is 1.6 watts per kilogram, the same as in the United States. The trade association for the cell phone industry often refers to Health Canada’s regulations as proof that wireless devices are safe. “There is no convincing scientific evidence of adverse health effects from exposures to EMF at levels below the levels outlined in Canada’s Safety Code 6,” says Bernard Lord, president of the Canadian Wireless Telecommunications Association. Against this backdrop of official consensus concerning the safety of cell phones, several scientists and public health experts have warned of new dangers from EMF. In general, the concerns involve charges that epidemiological (and other) studies are often funded by the telecommunications industry and prone to bias, government regulations are outdated and emerging science into “non-thermal” effects of regular cell phone use is not properly taken into account when investigating cancer risks. The thermal effects are well known. Microwave radiation emitted by cell phones has the potential to heat up human tissue in the area of our head where the phone is pressed. Safety and regulatory guidelines in many countries assume this is the main way in which RF fields could cause damage. But several studies have shown cell phones can have non-thermal biological effects, such as blood-brain barrier leaks, broken strands of DNA and changes to heat shock proteins. In a 2009 report commissioned by the Austrian Social Insurance for Occupational Risks (AUVA), a workers’ compensation body, researchers from the University of Vienna discovered that EMF fields from cell phone radiation have non-thermal effects on the brain (central nervous system), immune system and protein synthesis. It is perhaps not surprising, therefore, that the first workers’ compensation claim related to brain cancer and cell phone use was allowed in Europe — to an Italian executive. The Italian Labour Insurance Board recognized the occupational origin of Innocenzo Marcolini’s brain tumour in December 2009, after acknowledging that he worked constantly for years with a cell and cordless phone. According to reports, this is the first time a judgment has recognized a causal link between a disability and occupational exposure to EMF. Although there are no reported workers’ compensation claims in North America for brain cancer and wireless devices, several lawsuits against cell phone manufacturers have been filed in U.S. courts. Murray v. Motorola (2009) and Farina v. Nokia (2010) are two of the most prominent. 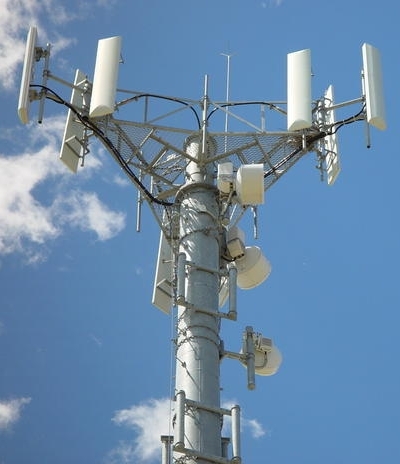 Both lawsuits are amalgamations of several individual actions; each alleges cell phone companies knew or should have known of numerous studies pointing to harmful thermal and non-thermal effects of EMF from wireless devices. Interestingly, in the above-noted lawsuits, cell phone companies turned to their CGL policies for coverage. Several insurers contested whether there was a duty to defend, contending that the actions did not sufficiently allege claims of “bodily injury” and “damages” due to bodily injury. U.S. appeals courts in Texas and Louisiana ruled that insurance companies, such as Zurich, Trinity Universal Insurance Co. and Federal Insurance Co., did have a duty to defend these actions. Beyond litigation, some regional and national governments have been active in reviewing safety guidelines or warnings about cell phones. San Francisco has become the first jurisdiction requiring cell phone retailers to post radiation emission data, or SAR levels, on devices, effective February 2011. Also, Ohio Congressman Dennis Kucinich is currently preparing a U.S. federal bill requiring manufacturers to note on packaging how much radiation models emit. The bill would also would create a national research program to determine what levels should be deemed safe. In Ontario, New Democratic Party MPP France Gelinas recently introduced a private member’s bill in the provincial legislature that would require storeowners to post radiation levels of the wireless devices they sell. Even though there doesn’t appear to be an imminent wave of insurance claims related to cell phone RF and brain cancer, some insurance sources are willing to make the link between asbestos and wireless devices. “Many comparisons can be drawn between EMF and asbestos, and it is useful to look at the history of asbestos and the implications to the insurance industry to see what could happen with mobile phones if the prove to be harmful,” Lloyd’s states in its EMF report. It notes the definition of injury, the apportioning of liability and the trigger of the insurance contract all affected asbestos litigation -and will likely apply to EMF if claims do occur. “As asbestos has shown, new scientific developments coupled with a small number of key legal cases can change the situation very rapidly,” Lloyd’s concludes. 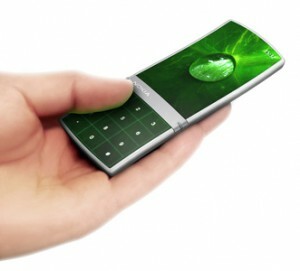 By comparison, our current experiment with near-ubiquitous cell phone use is just at the beginning stages. Click here to contact Antenna Management. This entry was posted in cell antenna safety. Bookmark the permalink. ← Can cell leases reduce property value?